Champagne isn't just for New Years, kids... and this bright and delicious summer champagne cocktail is here to prove it! You know that moment when the clock strikes midnight on New Years and everyone pops the champagne and goes crazy and makes out and all that?! Don't you sort of wish you could live that moment over and over again all year long?! Well, you're in luck, people. 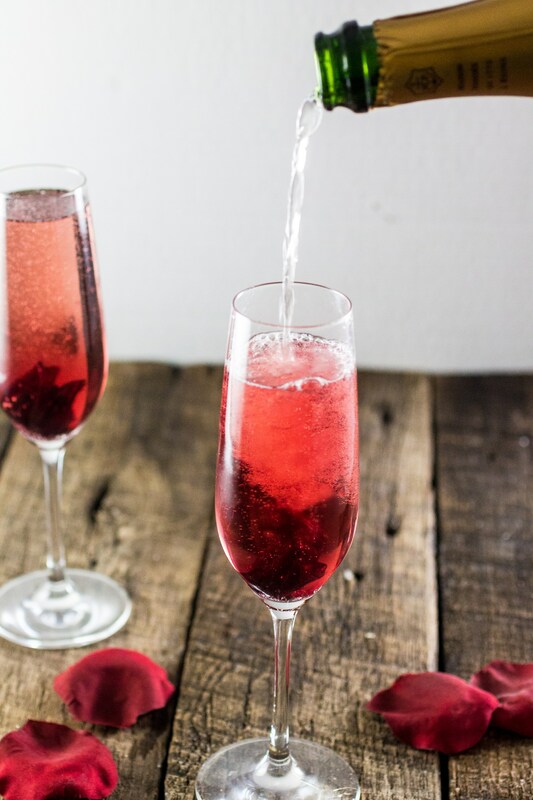 This week's summer cocktail series brings a delectable Hibiscus Champagne Cocktail that will have you celebrating for the rest of the summer and beyond. We came across this one on Olivia's Kitchen, and couldn't wait a second longer to share it with you. It may look simple, but please be sure to read this post in full so you can soak up all the worldly advice needed to make this baby just right! Here we go! 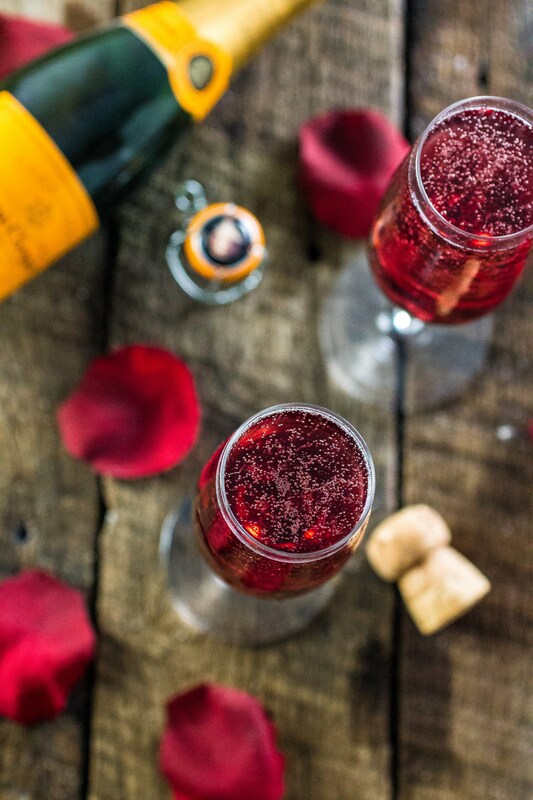 Add the flower and syrup to a champagne flute. Pour the champagne slowly over the flower so that it blooms. The Champagne - The trick is to use the best champagne, prosecco, or sparkling wine you can find/afford. 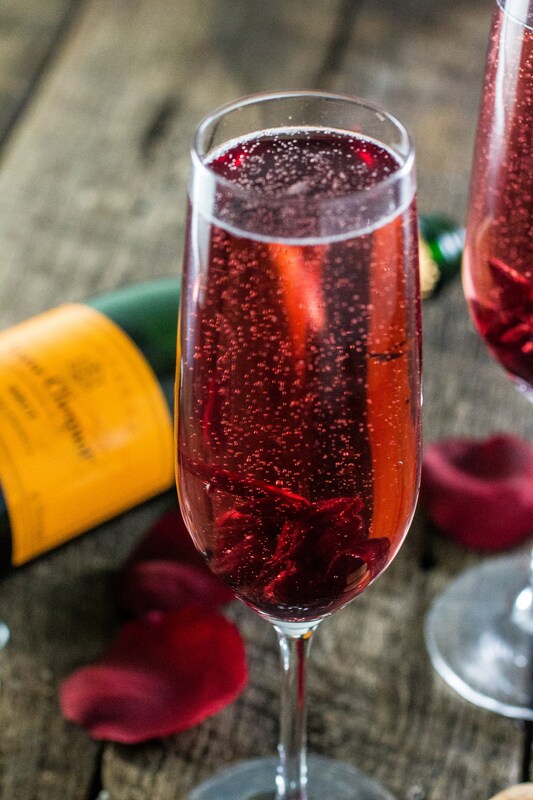 The author of this recipe is partial to Veuve Clicquot, but here are some other great options for Champagnes, Sparkling Wines, and Proseccos at different price points and styles for you to choose from! The Hibiscus Syrup & Flower - The flower actually comes IN the syrup already, so you don't have to actually find an edible hibiscus flower. You should be able to find it at your local specialty market (like Whole Foods), but you can also buy it online here. That said, we love the idea of making your own hibiscus syrup like the brilliant folks at Sprinkle Bakes. Whichever route you choose to go, once you have the syrup, you need to figure out how much you love it. When it comes to adding the syrup and the flower, the more syrup you add, the darker red and sweeter the cocktail becomes. So if you want it dark red and pretty sweet, add more. If you want it lighter pink so you can really see the flower in the bottom of the glass, go for less! OK. Now you're ready! 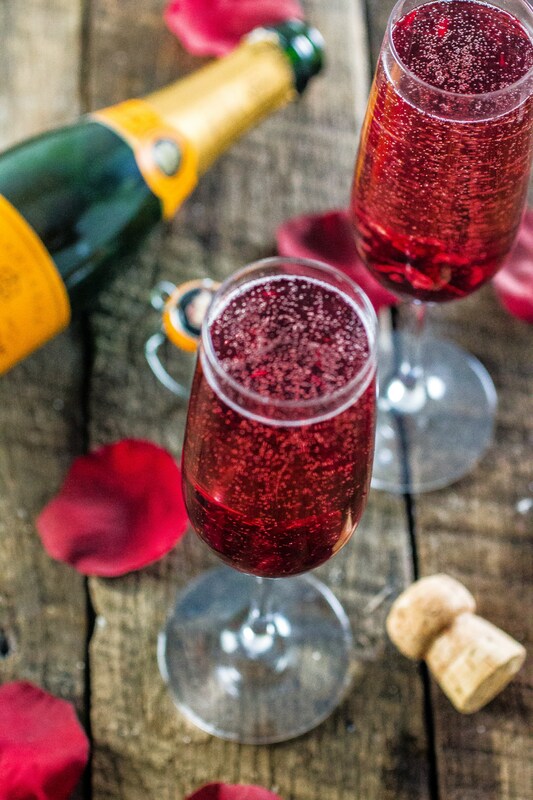 So raise your Hibiscus Champagne Cocktail, and let's ring in all the beautiful summer nights to come! Cheers. Olivia's Cuisine is great food & travel blog run by a lovely girl named Olivia (duh). She is super cute and originally from Sao Paolo, Brazil. She now lives in NYC with her hubby and an adorable little dog. She shares a ton of delicious recipes, takes totally gorgeous recipes, and in general is an awesome food blogger! So glad we found you, Olivia!